Carolina brings to ERA a hands-on approach in designing new and adaptive reuse of spaces, based on high attention to technical detail and craftsmanship. Her passion for community-centered architecture, inspired by her contact with complex social realities, strengthens ERA´s initiatives. 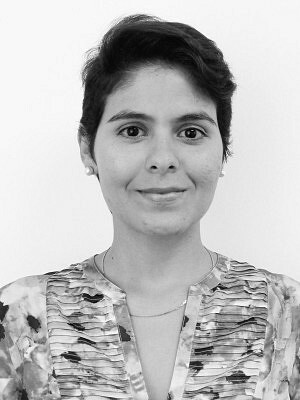 She holds a Bachelor of Architecture degree from Universidad Centroamericana in Managua, Nicaragua. She studied abroad in Belgium and Argentina, and speaks Spanish and French. Through projects in Canada and Nicaragua, Carolina leveraged public and private resources, ensuring infrastructure funding and compliance support for diverse stakeholders. Under her leadership, participatory design processes strengthened the capacity of vulnerable and multicultural communities. This effectively opened the dialogue with municipal stakeholders and catalyzed their community development. Prior joining ERA she worked as an architectural designer for a landmark Toronto building that enabled the beauty of mixed-uses and collaborative spaces. Subsequently, she expanded her experience into residential, health care, and commercial projects.